Matt Duchene managed to make people take notice even before he skated in his first NHL game. After that, it only got better and better for Colorado's superb emerging star. What was supposed to be a two-horse race for the first overall pick in the 2009 NHL Entry Draft changed significantly in the days and hours leading up to the announcement. Holding the coveted number one selection, the New York Islanders were, for the longest time, expected to take forward John Tavares or defenceman Victor Hedman. But it wasn't a certainty in the moments before the Eastern Conference team's brass stepped up to the podium. The reason? One of junior hockey's most versatile players had plenty of people talking. And while Duchene was the third pick overall (Tavares was first and Hedman was second), it wasn't a disappointment for both the player or the Colorado Avalanche, the very team he followed as a youngster. Duchene then gave the Avalanche little choice when it came to their decision to either send him back to the junior ranks or keep him for the rest of the season. On October 18, 2009, one day after Duchene scored in a 4-3 shootout win over Detroit, Colorado announced their intentions to keep the talented forward. That didn't change throughout the campaign, a season in which Duchene proved he was capable of playing at an elite level against the very best in the sport. 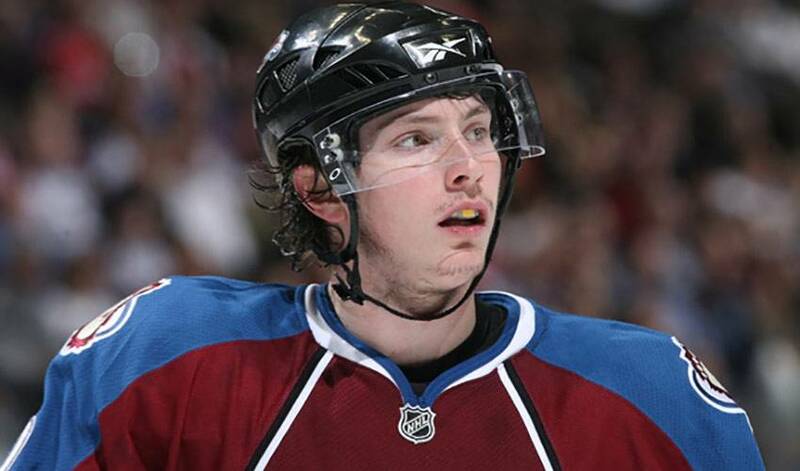 “A lot of my favourite players have played at 18, and it's almost a standard I've set for myself,” admitted Duchene. At season's end, Duchene, who hails from Haliburton, Ontario, was the leading scorer among rookies, with 23 goals and 52 points. His most significant tally, however, isn't reflected in his totals. On April 6, with a playoff spot on the line, Duchene was selected as the sixth shooter against the Vancouver Canucks after the previous five had failed to score. Duchene calmly skated in, looking very much like a seasoned veteran, lit the lamp and with it gave Colorado, a pre-season longshot to make the playoffs, its' first appearance in the post-season since 2008. A player that could have a major impact on Colorado's post-season fortunes. “He's obviously learned to play the whole 200 feet of the ice much better, which I think says a lot,” praised Sacco, a former NHLPA member who played 738 NHL games, with five different teams.